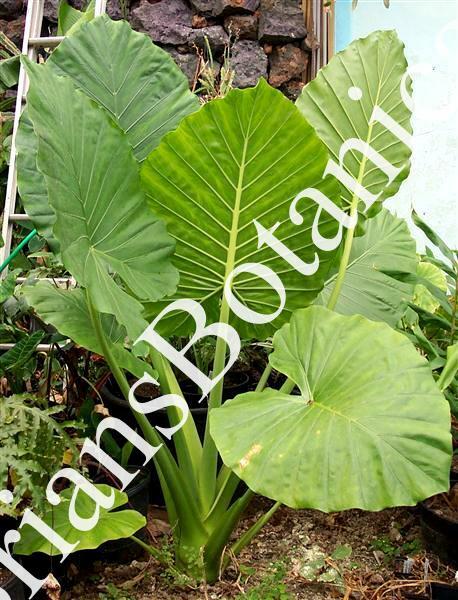 Alocasia odora is one of the easiest, larger growers of the Alocasia group. The plants can handle cold temps and survive zone 8. The leaves are huge. On one occasion we had a plant in the greenhouse 15 feet tall with leaves as big as a car hood. The thick durable leaves usually point upright. This plant is great as a House Plants, garden plant or large container plant. In time, the plant will produce a trunk and reminds me of a palm tree with elephant ears on top. A must have for anyone wanting to grow a large easy Alocasia.